Registering a domain is easy. You can be assured that with Stoco.net, your registration is affordable, secure and has no hidden fee's. We keep our prices low to insure that your costs remain low also. Just looking for a few simple pages? We have a 5 page plan that will get you started in minutes. 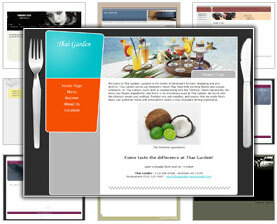 Choose from hundreds of templates and stock photo's to get your site online tonight. Professionally designed Web page templates with color-scheme and photo combinations provide you with thousands of options. You really can build your own Web site even if you have no technical skills. Open your Internet browser, select your images and type your text. Just like that, your site gets built or updated.